In 2011, Morgan Stanley put out a 50-page investment note on Tesla with a price target of $70, up from the price at the time of $23.71. 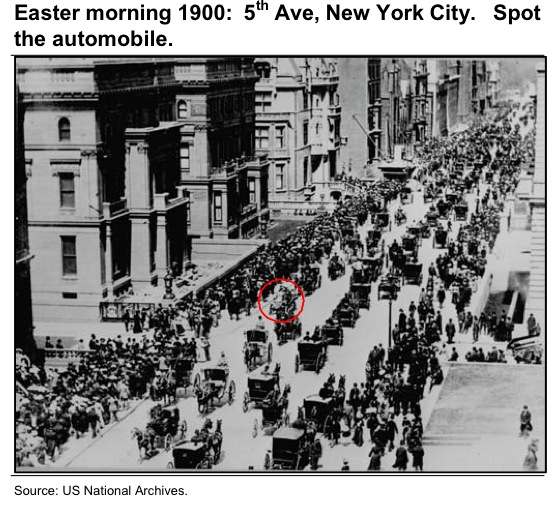 The basic logic of the note was that in 1900, there were almost no cars in New York City. It is true that Tesla’s stock price has done very well over the past five years and now has a market value of $59 billion. You could have made a small fortune by following it. 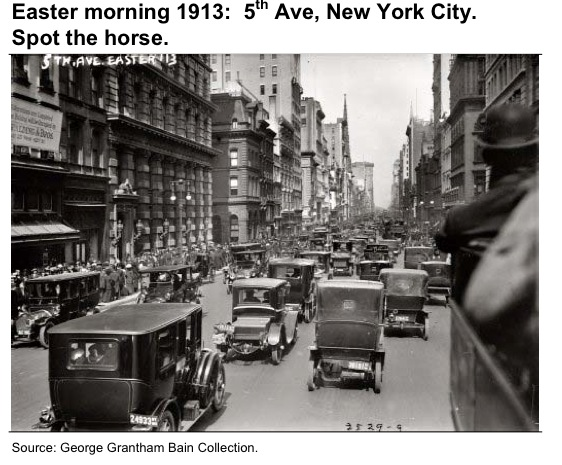 The problem is that Tesla is more Stanley Steamer than Henry Ford. There were 88.1 million cars sold in the world last year. Tesla has sold 257,000 in total, ever. That’s more EVs sold than GM, but fewer than Nissan. 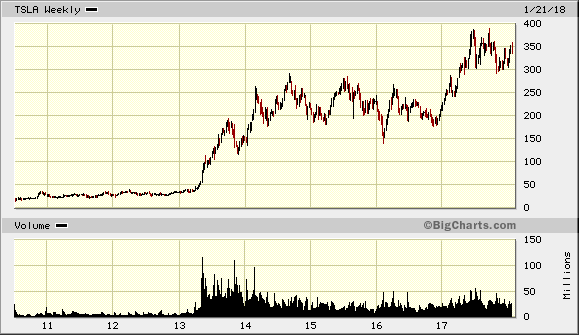 Nissan has a market value of $42 billion. Don’t look to the Model 3; it is expected to be produced at 2,500 per week in late summer. Is it any wonder that Elon Musk is distracting the world with flamethrowers and boring machines? Forget about Elon Musk and Tesla. He loses 15,000 on every car he sells and is unlikely to ever turn a profit. The real leader in EV car sales is China. In 2017, about 700,000 electric cars were sold in China. That’s more than all the electric cars sold globally in 2016. This year, 2 million electric cars will be sold, and by 2020 that number will reach 3.4 million. But that’s not all. The global electric bus market is expected to grow at a compound annual growth rate of over 27.5% during the period of 2016–2023. If you’ve ever been to an Asian city like Mumbai or Beijing, you know that the smog is horrible. The auto rickshaws have a green sticker touting the fact that they no longer run on leaded gasoline. As these countries walk up the economic food chain, they desperately want clean air. I’ve found a $10 company that is the largest EV maker in the world, and you’ve probably never heard of it. It is profitable and has a 19% share in the Chinese market. It looks so good that Warren Buffett, a man who said he never invests outside the U.S., owns a large portion of this company. And, as I said, unlike its competitor Tesla, it actually makes money. But it’s not just cars. The company has sold 40,000 e-trucks so far and expects to sell about 400,000 in the next decade. It is also big with high-priced, high-margin e-buses and has sold more than any other company. Though the company sells 90% of its products in China, it is pushing overseas. It has an ad campaign by Leonardo DiCaprio and has hired the former design head from Audi. The company has plants in California, Toronto, and is building one in Morocco, with eyes on South America. Furthermore, oil prices are moving higher again. 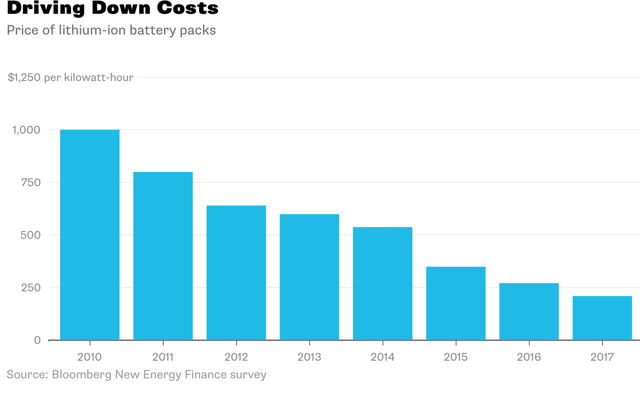 Gas prices are going up at the same time battery prices are dropping. I’m putting the finishing touches on a report detailing this company and the profit opportunity, which I'll have to you later this week. Keep an eye on your inbox. Energy and Capital editor Keith Kohl shows investors the best way to capitalize on the EV revolution taking place today.